With the release of the hotly-anticipated Halo 4 now entering the home straight, we’re seeing regular installments of in-game footage, giving us more than a slight teaser of things to come. The latest, released earlier today, is probably the strongest insight we’ve gotten to date regarding what it’ll be like to play Halo 4, and if you don’t want to know anything with respect to the storyline, this is probably a trailer you’ll want to skip. 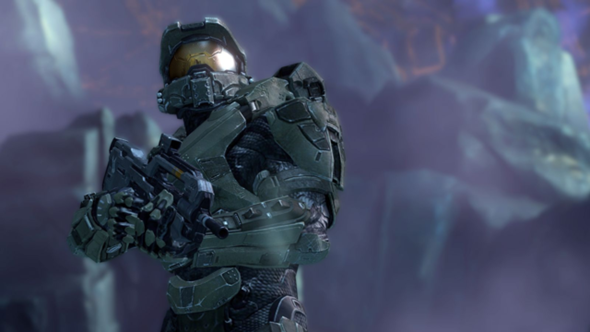 It looks like it’ll be another great addition to the popular series, and Halo has – perhaps better than any other franchise – managed to maintain that original magic that made the first Halo such a classic. With Bungie not involved in this particular release (the first time for a major Halo iteration, save Halo Wars), there were fears 343 Industries – at the helm of Halo 4 – wouldn’t really manage to encapsulate the Halo vibe, but on evidence of the trailers, I don’t think there’s much danger there. Incase you’re a little slow on the uptake, the title will release worldwide on November 6th, and will be an exclusive for Microsoft’s Xbox 360 console. Given how the Redmond company already dominates the console market from Sony and the PlayStation 3, the release of Halo 4 will only increase the strength of the Windows maker in the gaming category, and since Steve Ballmer and troops already have several specific action measures in place to shift as many Xbox 360 consoles as possible in the run-up to the holiday season, don’t be surprised to see the ageing device sell like hot cakes. I haven’t had an Xbox 360 for a couple of years now, but seeing as they’re so cheap to pick up, I will probably make like many and reinstate the console for the purpose of enjoying Halo 4. The gameplay looks awesome, as demonstrated above, and having fallen in love with Halo Combat Evolved on the original Xbox console some ten years or so ago, I feel I owe it to myself to enjoy this timeless first-person shooter once more. Will you be grabbing your copy on the 6th November?